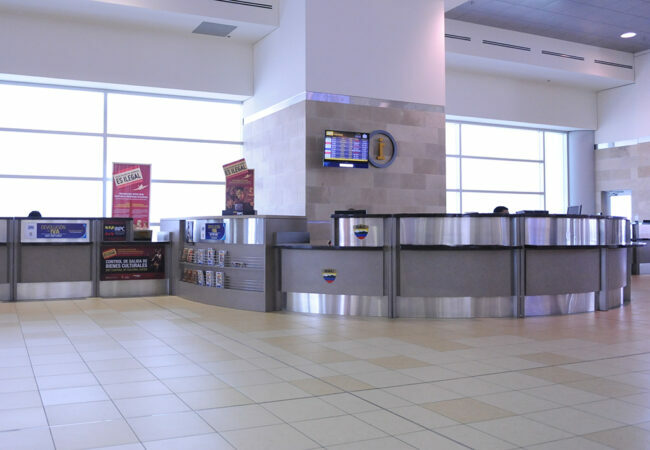 Mariscal Sucre International Airport – Fish Construction, Inc. 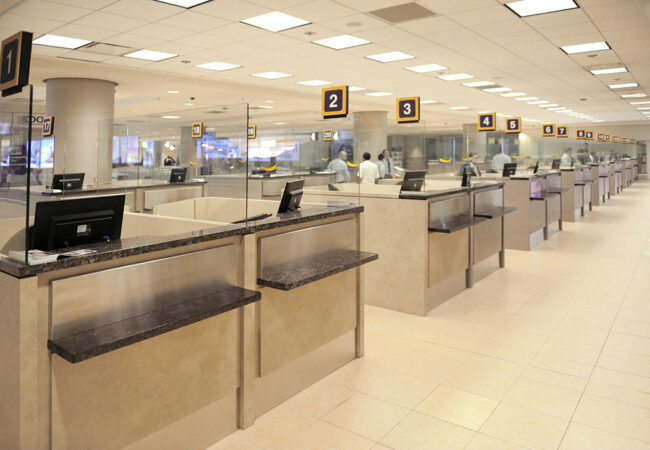 This new facility opened in 2013 offering a major improvement over the old location with a modernized, efficient airport. 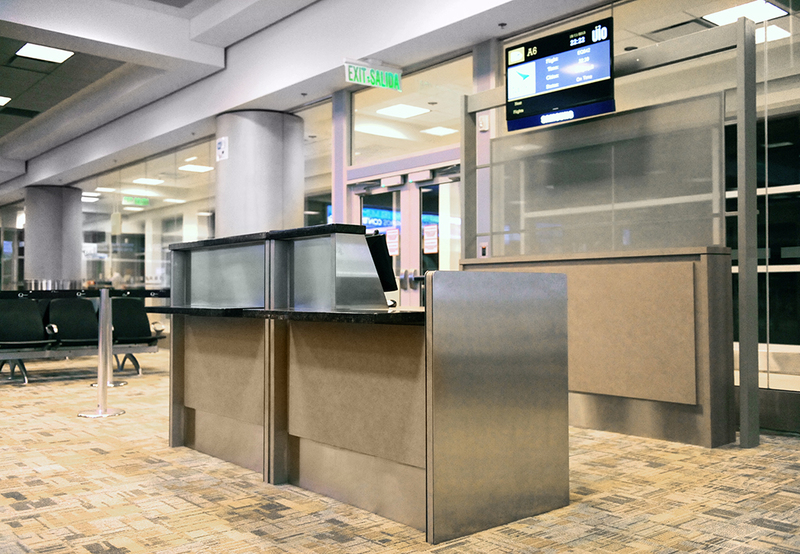 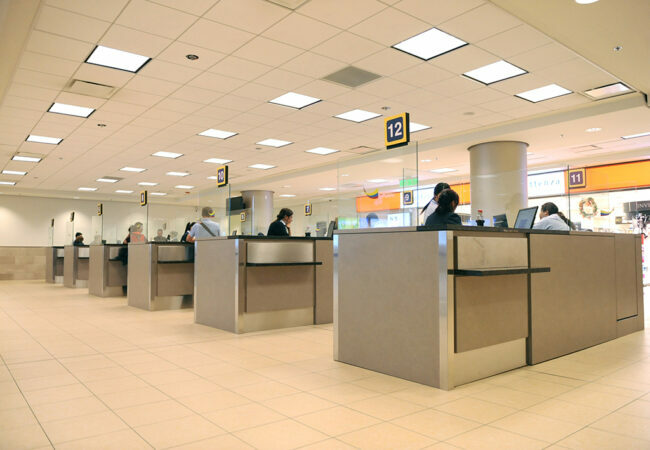 FCI was selected to manufacture the interior millwork including all check-in counters and scale wells, gate counters and backscreens, self-service podiums, customer service counters and other furnishings. 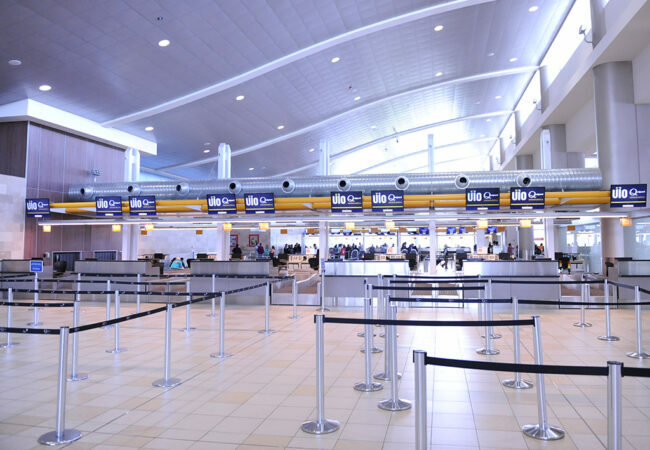 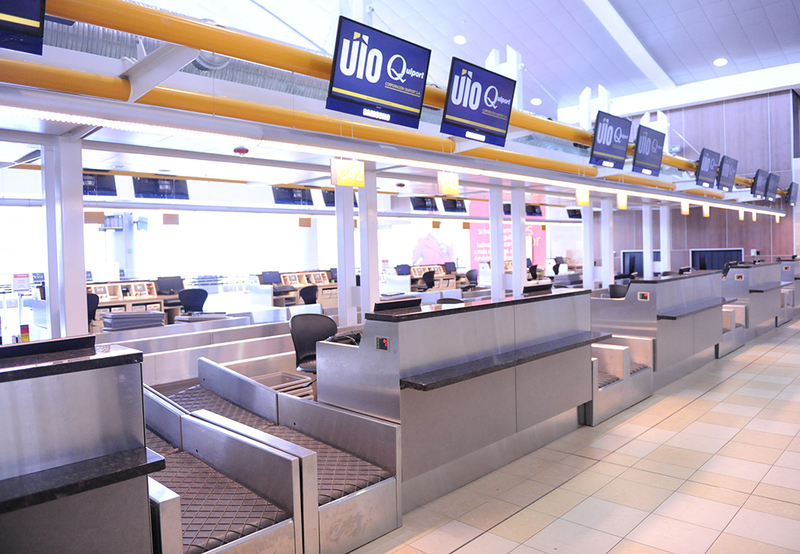 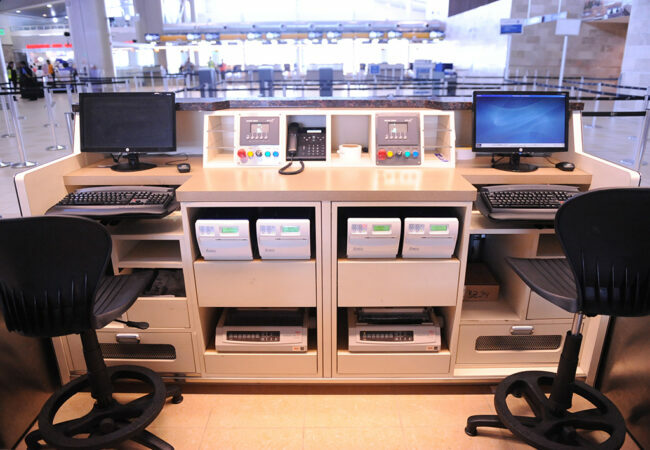 In conjunction with the new IT systems, the counters now provide the airport with improved flexibility of use as airline service expands with new and existing carriers.